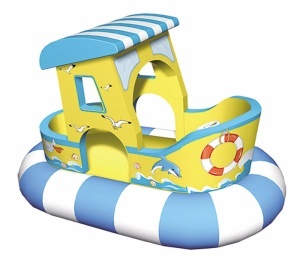 This one pirate ship is electronic amusement product with power supply placed at the bottom. 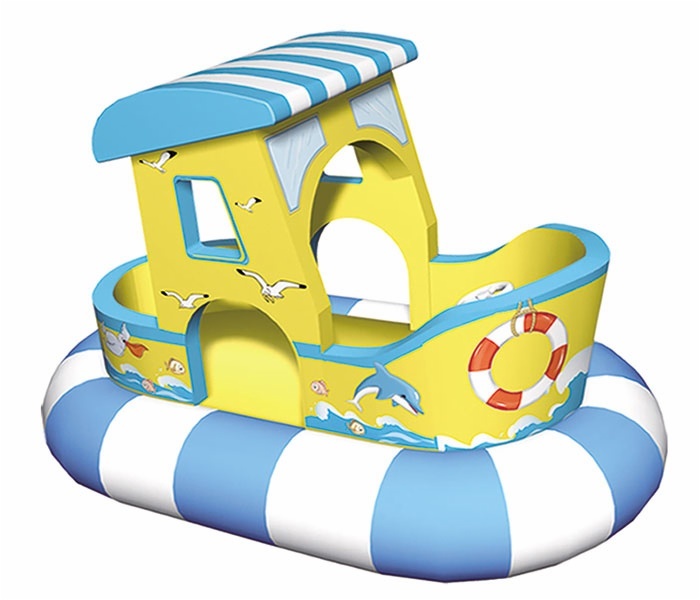 After switching the power on ship will slow shake and the blue and white blow-up lilo may also reduce the impluse force. It is an interesting game.